This term we have started an innovative new program involving one of our Year 2 students. 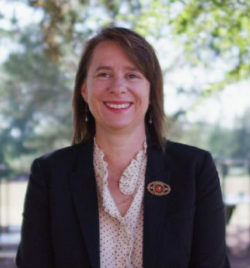 You may be aware that as a rural Boarding school, we have wonderful connections with remote families and we would like to be able to offer these children the opportunity to experience the quality learning programs that are accessible at St John’s. Imogen has been a visitor in our Year 2 class over the last two years and her visits are a real asset to our school. Her family live 200km north east of Alice Springs and Imogen’s older sisters both attend NEGS as Boarders. Here is a small clip that will give you an idea of Mt Piddock Station that is the home of the Cadzows. This term we have begun a trial that connects Imogen with her classmates through interactive distance learning. 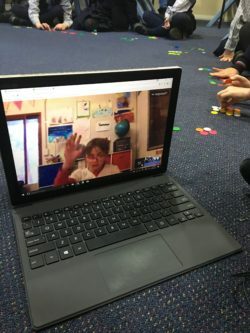 Year 1/2 children have spent the last two weeks interacting with Imogen daily through innovative technologies such as video conferencing, virtual classroom and a laptop tablet. She has participated in class lessons, Assembly, Music, French and Library. We have been thrilled with the progress of the trial and hope to expand to more children as the technology opportunities grow for accessible remote communication. Congratulations to Mrs Packer, specialist teachers, Imogen, Year 1/2 and Anna (Imogen’s governess) for making this happen. The Junior School was lucky enough to have Michelle Willsmore as our PE specialist in the first half of the year. Sadly, Michelle’s commitments in the Senior School mean that her timetable precludes her from continuing with us. We are fortunate to have expertise within our own teaching staff as PE has been a part of their role for the last several years. Classroom teachers have been working with your children in Daily Fitness and Sport and are well aquainted with the PE Syllabus. We thank Michelle for her work with the students at St John’s. There is lots happening in sport this term. PSSA and IPSHA Athletics carnivals are coming up and we wish all our participants the best in their events. Gymnastics sessions at Armidale Gymnastics will begin in Week 2 and continue throughout the term. The Winter sports season has begun with a frosty start. Good luck to our netballers, hockey players and soccer stars. Summer sport options will be sent out later in the term. Please direct sports enquiries to myself or your child’s teacher. Each year, schools and public libraries across Australia spend a week celebrating books and Australian authors and illustrators. Classroom teachers, teacher librarians and public librarians develop activities, offer competitions and tell stories relating to a theme to highlight the importance of reading. Students from Transition to Year 6 will have access to all the amazing shortlisted books in the various categories for Book of the Year Awards – Early Childhood. Picture Book of the Year, Younger Readers, Older Readers and Information Books. Visit the CBCA website to get ideas for your next book purchase for your child. The books are all available to be borrowed at the Library at the conclusion of our Book Week Activities. We will celebrate with a dress up day (come as your favourite character) and Mad Hatters Tea Party (Cancer fundraiser). We will also be asking parents to come and be mystery readers for a morning of celebrating books. Book Week will see the end of the St John’s Reading Challenge. I hope all families had lots of time of the holiday period to enjoy a good book. St John’s pie drive is a great way to get a winter dinner and help the school. Ask at Reception if your order form has gone astray. They are due on the 3rd August. Moxon’s fresh baked goods will be delivered to school on Thursday 10th August (week 4). Orders will be available for pickup by students or adults from the reception desk at St Johns from 2-4pm (you will get a reminder). We invite you to circulate this order form amongst family, friends and workplaces! As our students are forced indoors more regularly during cold and rainy morning tea and lunch times, we find that constructive activities like LEGO help them to enjoy this free playtime when normally they would be active outside. 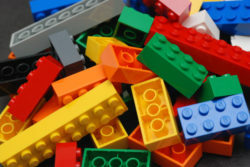 LEGO asks students to think in creative ways to build and construct whilst sharing materials and discussing their decisions with their friends. What a fantastic way to build spatial awareness and understanding of engineering. We have some LEGO resources but maybe you have an unloved collection in your house that could find a new home at St John’s. All donations of construction toys welcome, as well as Chess sets or board games. A reminder that School Banking begins next week. If you haven’t opened an account then you are welcome to visit the Armidale Branch of the Regional Australia Bank to set one up. Teaching children the all-important skills of money management and saving when they are young can empower them for success in the future. School Banking plays an essential role in helping Aussie kids learn about money management and set up a regular savings routine alongside their friends. School Banking can teach valuable financial literacy skills that last well beyond school life.